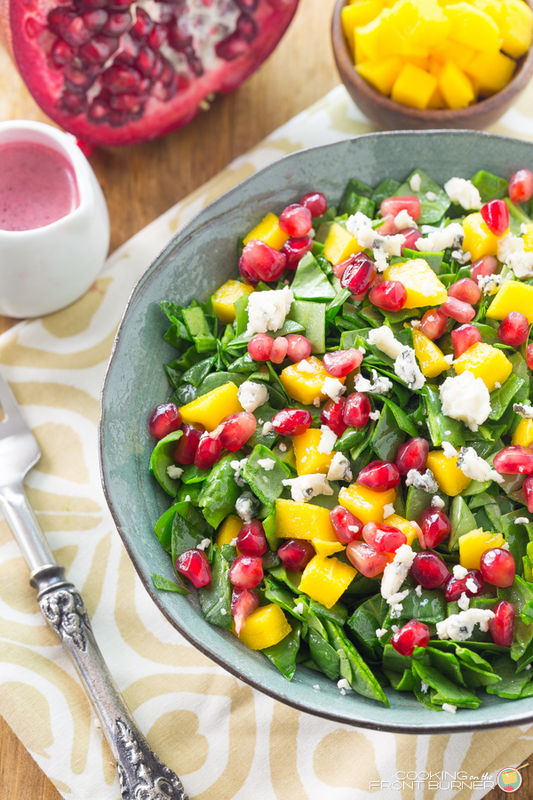 This Chopped Spinach Pomegranate Salad has fresh ingredients and is a great way to get eating back on track! Happy Thursday! Hang in there, the first full week of January is about over and the weekend is coming. Were you moving kind of slow this week or did you hit the ground running? I had off about a week from work and was actually looking forward to getting back into a schedule. Crazy I know but I’m kind of like that! (Though I do miss sleeping in.) While I was off I created this new salad recipe that I’m nicknaming sunshine in a bowl! What do you think? Doesn’t it just make you smile and want to reach in and grab a forkful? 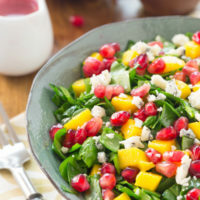 There are so many good ingredients in this Chopped Spinach Pomegranate Salad including a touch of mango, tangy gorgonozola and a pomegranate vinaigrette. Are you hooked yet? I encourage you to start the year off right and eat your veggies! January is the month for resolutions and while I kinda like to make them, sometimes I struggle with what to make to eat. You would think with a food blog, it would be easy to just make recipes but I usually need some inspiration. I’m not kidding when I say I have about 75 cookbooks, 100 old magazines (Food Network, Cooking Light, Cuisine at Home, etc) plus folders of paper recipes from newspapers, the web and more torn out recipes from discarded magazines. I enjoy getting a pile, parking myself on the couch and going through them. Other inspiration comes from other bloggers and of course pinterest! I have a pretty good list now and looking forward to whipping up some new dishes for 2016. I hope you enjoy this salad recipe, it’s one of our new favorites! 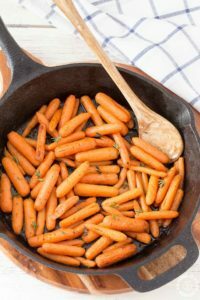 This delicious salad is a great way to get your veggies and eat healthier! Did you see my round-up from earlier this week? 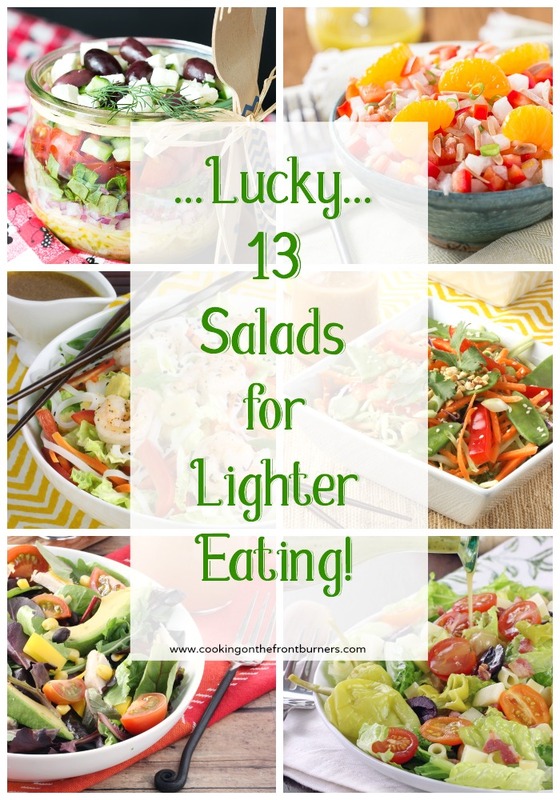 More salad recipes to enjoy! I have always wanted to try adding pomegranate to a salad, but have never got around to it yet. I'm heading over for the recipe! It is a great edition! You are so kind Marcie! Thanks. Love all the colors in this salad! It's beautiful! So pretty! They say eat the rainbow and this salad looks so bright and healthy! This is such a beautiful salad, Deb! So healthy too. Now I'm off to browse through your salad recipe roundup! Gorgeous! 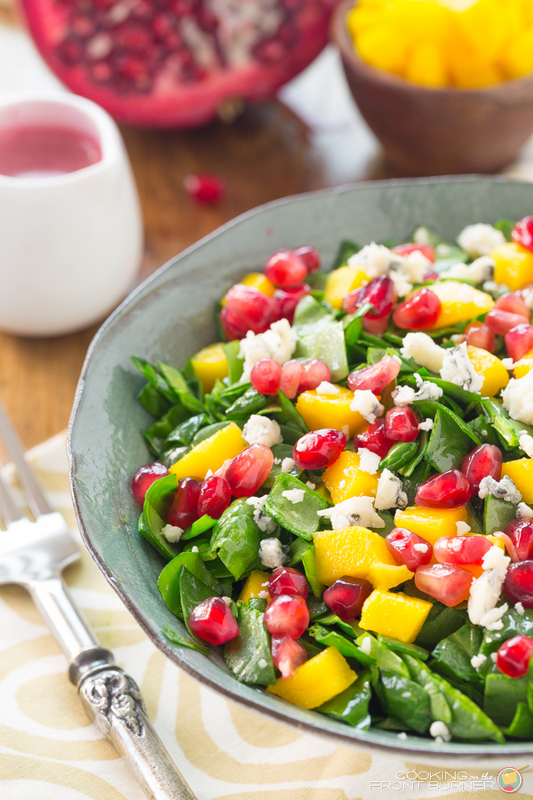 I adore pomegranate in winter salads! It does really add something special! Yummy! I've never used pomegranate on a salad! Genius! Ooooh!! What a pretty salad, Deb! I bet it tastes just as wonderful as it looks! 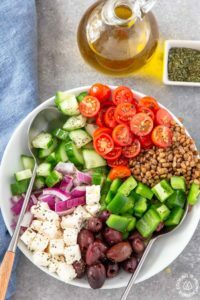 This salad looks so fresh and has some great flavors in it! Looks amazing. I'd love to make more salads like this one. Pinned & shared.Thanks for joining the Inspiration Spotlight party. This sound great!! 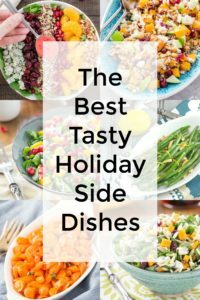 I'd love it if you shared at the "What's for Dinner" linky ! I need to make this, and soon! Looks so refreshing, Deb. I'm featuring it tomorrow at BOTW! 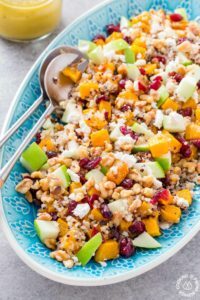 This salad is SO perfect – I love the flavors and the bright pops of color!